A Dutch Australian, Paul 't Hart is currently a Professor of Public Administration at Utrecht University and Associate Dean of the Netherlands School of Public Administration in The Hague. From 2005-2011 he was Professor of Political Science at the Australian National University. 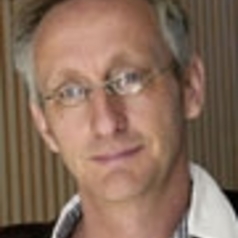 Paul received his PhD from Leiden University in 1990 and was a visiting researcher at the universities of Oxford, Stockholm and Canberra during the 1990s. He was elected a member of the Royal Dutch Academy of Sciences in early 2014. Paul’s research, teaching and consulting covers political and public sector leadership, policy evaluation, crisis management and public accountability. His recent books include How Power Changes Hands: Transition and Succession in Government (Palgrave 2011), Understanding Prime-Ministerial Performance (Oxford UP 2013), Understanding Public Leadership (Palgrave 2014), and the Oxford Handbook of Political Leadership (Oxford UP 2014). Whilst never employed as a public servant, he has extensive training and consulting experience within government, primarily in Holland, Sweden and Australia, including secondments at the Dutch Intelligence Service and Public Prosecutors Office. He recently conducted a study of the governance of the Dutch court system and is currently a member of a Dutch government commission evaluating the implementation and effects of the 2012 Dutch Police Law.